This release provides new and powerful AI capabilities with Associative Insights; customers will be able to take advantage of unified licensing across QlikView® and Qlik Sense®; plus, initial product integration through the ability to link directly to QlikView apps from certain Qlik Sense Enterprise editions. 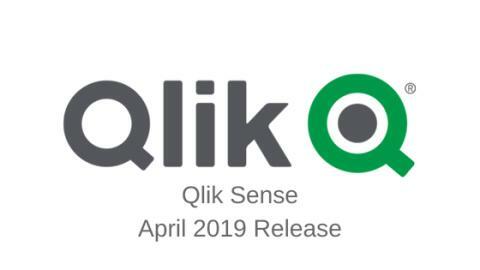 Most notably, new Multi-Cloud features in this release enable deployment for Qlik Sense Enterprise entirely on Qlik’s hosted cloud (enterprise SaaS) and Kubernetes, allowing Qlik Sense to run on AWS, Microsoft Azure, Google Cloud, and Red Hat Openshift. Associative Insights – offering powerful new AI insight suggestions that reveal hidden insights in your selections, driven by the Qlik Cognitive and Associative Engines working together. Associative Insights helps the user discover and understand the significance of values in the data that are not selected. Look for Associative insights in the selections tool. User Experience Improvements for Content Creators – new user experience features for authors including improved workflows, selections in edit mode, and refined layout options. This improved set of capabilities allows content creators to see their selections while editing visualisations, offering them more context as they build, and provides several features improving the design flow in edit mode. Altogether, these changes provide a more intuitive user experience when developing apps and performing self-service analysis in Qlik Sense. New Visualisations and Mapping – additional chart types added to the Visualisation Bundle, including Bar & Area Chart and Bullet Chart, and a new capability to set default map backgrounds for improved customisation. Bar & Area chart- a bar chart with transition effects, connectors and labels on tacked bars. Bullet chart- a bar chart ideally used for tracking towards a goal, showing target, or actual and bands for good/bad/average. It is now possible to set a default map background for all new map charts. While custom backgrounds have been available for a long time, now users can choose to have a predefined background instead of the Qlik standard background. This feature provides better support for handling things such as disputed regional areas with politically sensitive boundaries. Qlik Sense Mobile for BlackBerry – a new containerised version of Qlik Sense Mobile built for Blackberry Dynamics EMM, supporting advanced management and security for BYOD (bring your own device) environments. This enables customers with BlackBerry dynamics EMM environments to access Qlik Sense in a containerised secure mobile app for fully secure communication with end to end security, including SSO and at-rest encryption. It also allows administrators to govern Qlik Sense Mobile deployments across the organisation by setting specific policies and managing app distribution. SaaS Deployment for Qlik Sense Enterprise: a standalone SaaS deployment option for Qlik Sense Enterprise (QSE), with the ability to create, reload and consume Qlik Sense Enterprise apps entirely on Qlik’s hosted cloud. This release also enables parity between Qlik Sense Enterprise on Windows and Qlik Sense Enterprise on Kubernetes for adding, updating and removing Themes and Extensions. With this latest release, all deployment options for Qlik Sense Enterprise – Qlik Cloud Services (SaaS), Kubernetes, and Windows – are available independently and work together as part of a multi-cloud deployment.